If you’ve made it to this page, welcome. I assume you came looking for a chocolate cake recipe, if so, your lucks in, I have you covered. 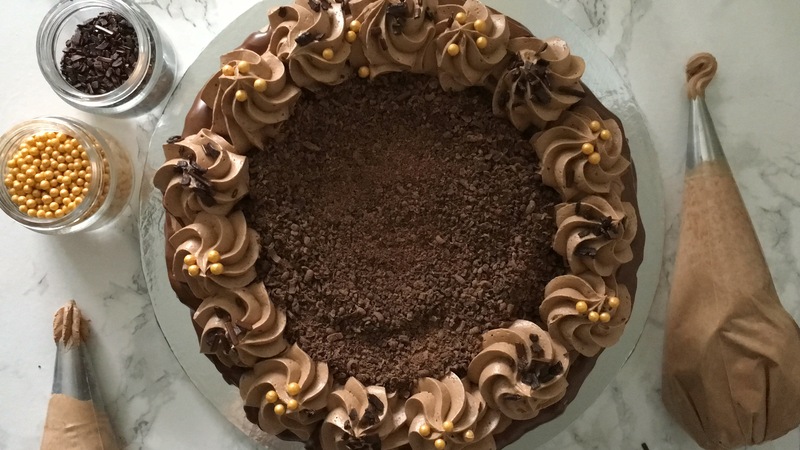 The cake is a pretty basic sponge cake (which tastes very nice, even on its own) but what really brings this together is the chocolate buttercream. 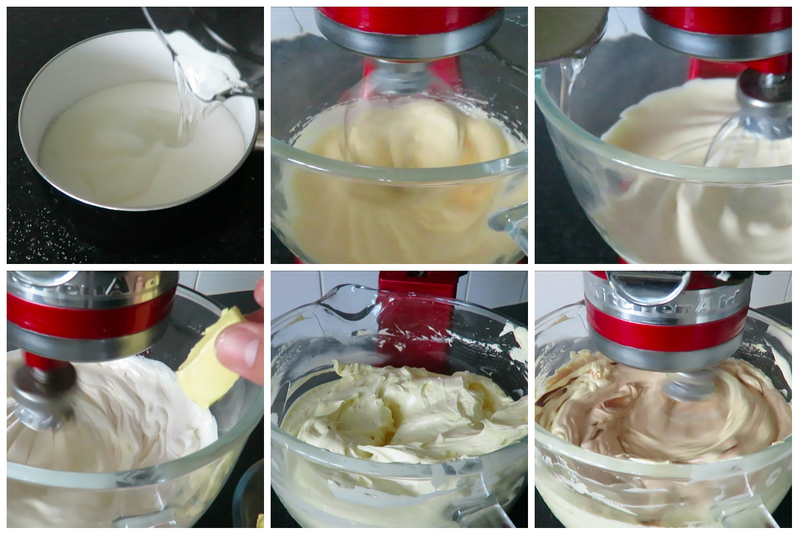 It isn’t your standard buttercream (which is butter, icing sugar and flavouring and/or colours), this is my recipe for Italian meringue buttercream. It’s a indulgently rich and smooth alternative to other buttercreams, but feel free to use whatever buttercream you’d like. As mentioned previously, this cake is so simple to make. The mixing process you’ll use for this cake is called the creaming method, this is where you beat the butter and sugar together until they are well combined, then gradually add in the eggs and flavourings, then sift in your dry ingredients and mix them into the mixture until a clear cake batter forms (be careful not to over mix at this stage, otherwise your cake will have a tough texture). You can then divide the cake batter between your cake tins and bake in your preheated oven. It’s even easier than it sounds! So to start, you’ll want to do some prep work which will help you in the process. Weigh up all of your ingredients, this saves you faffing about (and saves you making mistakes), preheat your oven to 180˚c/350˚f and prepare your cake tins, you can do it two ways. Either generously butter and flour each tin (spread a generous amount of butter on the base and around the sides, then add a small amount of flour and move it around the tin until there is good coating of flour. In place of the flour, feel free to use cocoa powder for chocolate cakes) or line the bottom of the tin with parchment/greaseproof paper. 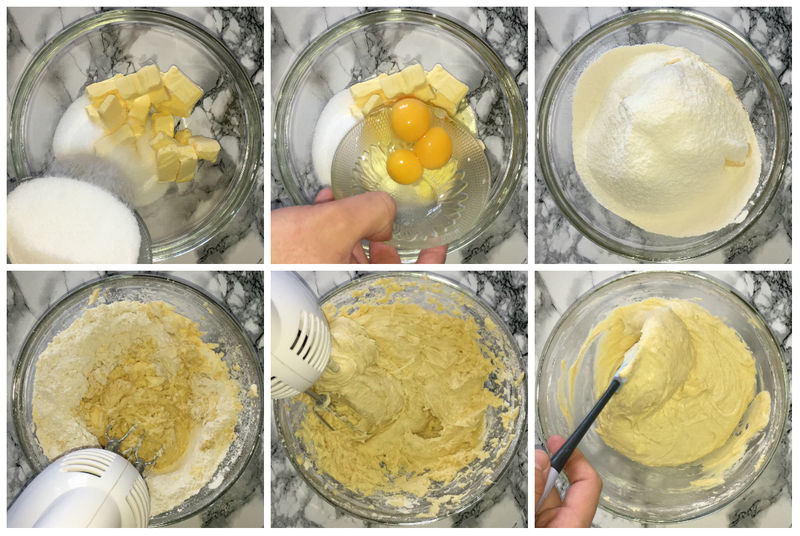 Once you get all your prep done, you can start to make your cake batter. Place the butter and sugar into your bowl of choice, (I used my KitchenAid mixer stand bowl) and beat the two together until they are well combined. Once they have been beating for around 5-7 minutes, you will notice the mixture will become more pale in colour and lighter in consistency. You can then start to gradually add your eggs, add them 1 at a time or if you beat all your eggs together, incorporate the eggs roughly one at a time. Repeat this stage until your eggs are all fully incorporated. If you notice that your mixture has curdled, add a small amount of your weighed flour to prevent this from happening. So the final stage of mixing the cake is to incorporate the dry ingredients. So, you’ll want to sift your dry ingredients in around 3 additions, in-between each addition of flour you’ll want to mix in the milk (I opted for whole milk but feel free to use your preference). This method produces the best cake, it’s light, fluffy and perfect for a layer cake. 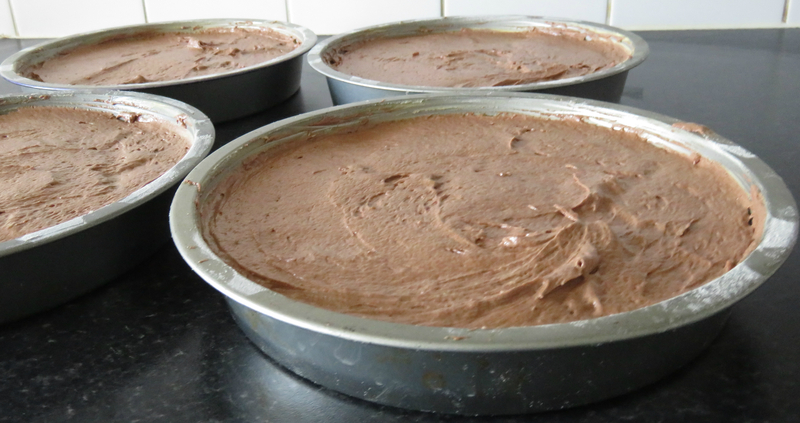 Once you’ve got your cake batter made, you’ll want to divide it between the 4x 8 inch/20cm tins. 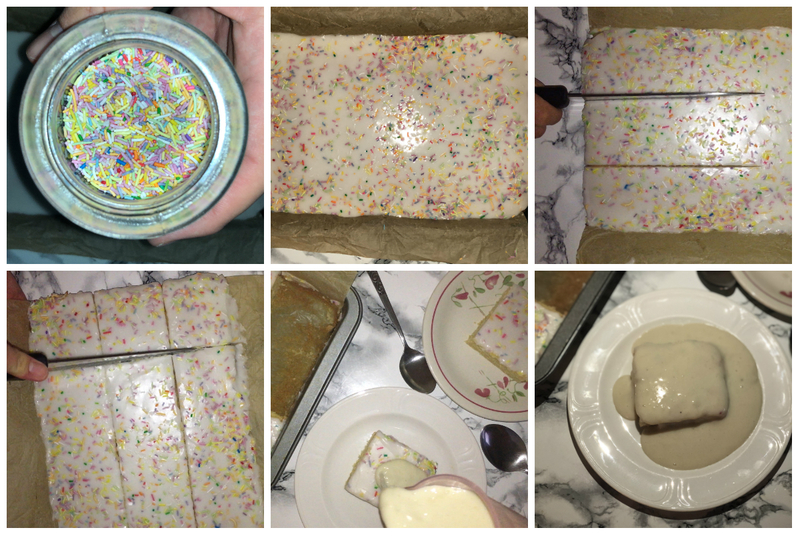 You can do this by eye or for a more precise measurement you can weigh out the total amount of cake batter, using scales and divide it to get the exact amount you’ll need for each tin, for me this amount was 625g per tin. 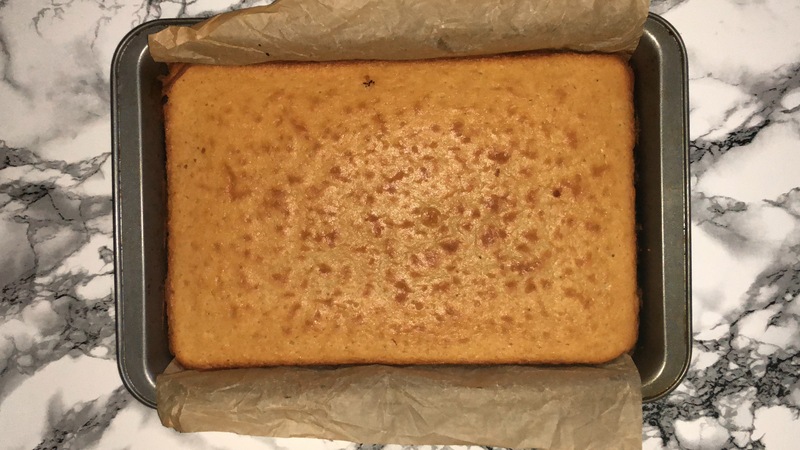 Level and smooth out the cake batter in each tin and place in your preheated oven and bake for 30-35 minutes or until a tester comes out clean. Once baked, allow to cool in the tin for 10 minutes then remove from the tins and allow to cool on cooling racks until fully cool. When it comes to making the buttercream, I would recommend making it while your cakes are baking in the oven as you’ll be able to whip up a batch in that time easily. Start by placing the water and sugar into the saucepan and allowing them to bubble on a medium heat until they reach 121˚c/250˚f. While you wait for sugar and water mixture to come to the temperature, place the egg yolks and whole egg into a mixing bowl and beat them together until they are very well combined (they will also change colour, becoming noticeable paler and the volume will roughly quadruple). Once your sugar and water mixture has reached the required temperature, gradually add the liquid mixture to your mixing bowl (over a low speed) and once it’s all been added crank the speed up to high to help the mixture cool down. Once you can touch the bottom of your bowl, you can start adding your butter. Add the butter in small chunks, add it at a steadily pace, but don’t worry if the consistency becomes loose, once the butter is fully incorporated and it has been in the fridge it will firm up. Add in your melted chocolate and allow to beat in until its well combined. If you place it in the fridge, give it a quick mix before you use it. Once you’ve got all your cakes are fully cooled down, you’ll want to trim them down, just to remove the outer layer of caramelisation. 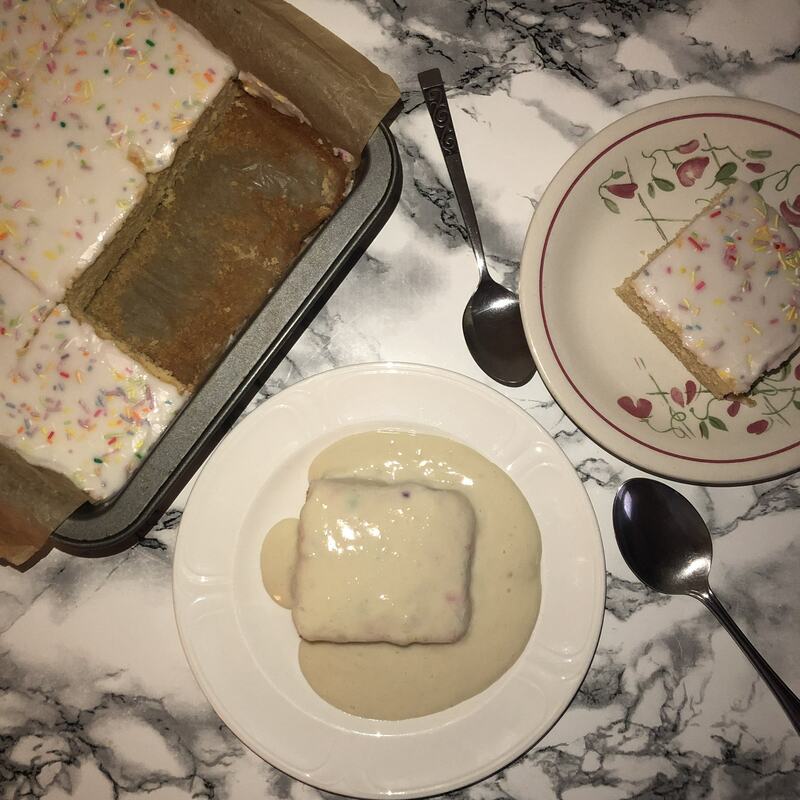 I use my cake leveller to make them nice and level, (but feel free to use a rule and a knife) I repeat this for all my cakes and then simple syrup them all, the simple syrup is optional but I like to flavour it with vanilla extract so you get a hint of vanilla. I then get my cake layers and start to stack my cake, spread a small amount of your buttercream onto the board (or plate) of choice, then place your first layer of cake on top, give a generous layer of buttercream and place the second layer of cake on top of that. I think you can see where I am going with this, just repeat this stage until all of your cake layers have been used, then you’ll want to add a crumb coat of buttercream to the cake (this just locks in all the crumbs, so your final coat buttercream won’t have any crumbs in it). Place in the fridge for around 30-45 minutes and then apply the final layer of buttercream. You can then finish the cake however you’d like but I fancied taking this one step further, adding a chocolate drip. The drip I intended on adding wouldn’t be a ganache one, it would be a Nutella one instead. Finish the top of the cake however you like, I piped small rosettes on top and places some sprinkles on those and in the centre of the cake, I finished with a generous amount of grated chocolate. 550g Butter, at room temperature. A generous pinch of salt. 750g Butter, at room temperature. 200g Dark chocolate, melted and allowed to cool before using. Method: (I know this is quite a long post, so I’ve given you the method in a quicker to read format down below). To start the cake, place your butter and sugar into your mixing bowl of choice and beat them together until they are well combined (they will become paler in colour and fluffier in consistency). You will then want to gradually add your eggs into the butter mix, roughly 1 egg at a time, beating well in-between each addition. Repeat this step until all your eggs are incorporated, remember if your mixture curdles add a small amount of your weighed out flour. Scrape down the sides and bottom of your bowl, then sift in 1/3 of your dry ingredients and allow that to mix in, then add a small amount of milk. Repeat this stage for the remaining dry ingredients and milk. Once you’ve got your cake batter, divide it between your prepared pans. Either measure by eye or using scales for a more accurate measurement. Spread and level out your cake batter in the tins, then place in your preheated oven and bake for 30-35 minutes (or until a tester comes out clean). Place your sugar and water into a medium saucepan and stir together, place the saucepan over a medium heat and allow to come up to 121˚c/250˚f. While you wait for the sugar and water mixture to come up to temperature, into a mixing bowl of choice, place all of the egg yolks and whole egg and whisk them together over a medium-high speed. You will notice that the mixture will quadruple in size and become much paler, don’t worry this is completely normal. Once your mixture has reached 121˚c/250˚f, you will then want to add it to the egg mixture. Lower the speed and steadily pour it into the mixture. Once its all added, you can then crank the speed back up to a medium-high and allow to cool down. When you can touch the bottom of your bowl, you can start adding your butter in at a steady pace. Don’t add it too quickly or you’ll make it too liquid and won’t be able to save it. If you notice that the mixture is loose, don’t worry. Once all of the butter is incorporated it will thicken up. Place in the fridge for a bit before you intend to use it. The assembly of the cake is really simple, spread a small amount of buttercream onto the board or plate you intend on using, then place your first layer of cake on, top that with a generous layer of icing and repeat for the rest of your cake layers. 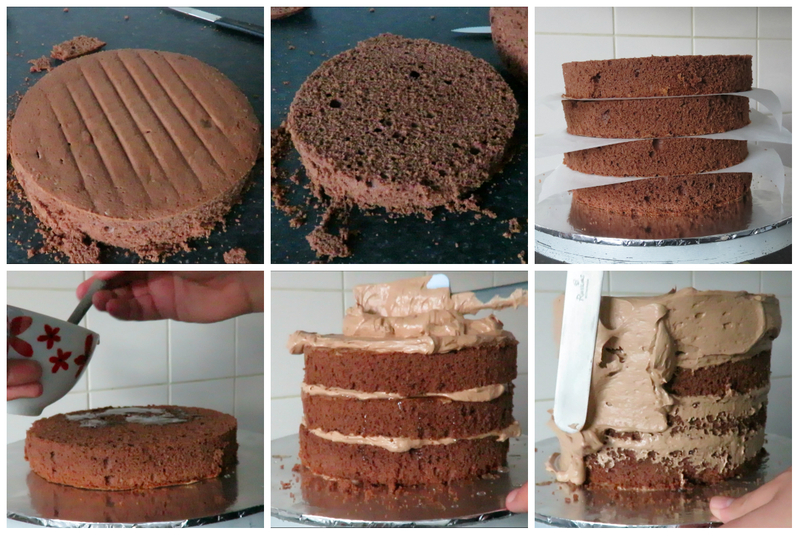 Once you’ve done all your cake layers, give the cake a generous crumb coat and set in the fridge for 30-45 minutes. Remove from the fridge and give the cake its final layer of buttercream. You can then finish the cake however you like, I opted for a Nutella drip in place of the traditional ganache drip. On top of the cake I piped rosettes and used sprinkles and seeing as the centre was blank, I added a generous amount of grated chocolate. What more does a chocolate cake need? More chocolate of course. This is certainly the right cake for someone who is a chocolate lover, it has chocolate in all aspects of it… Perfect! 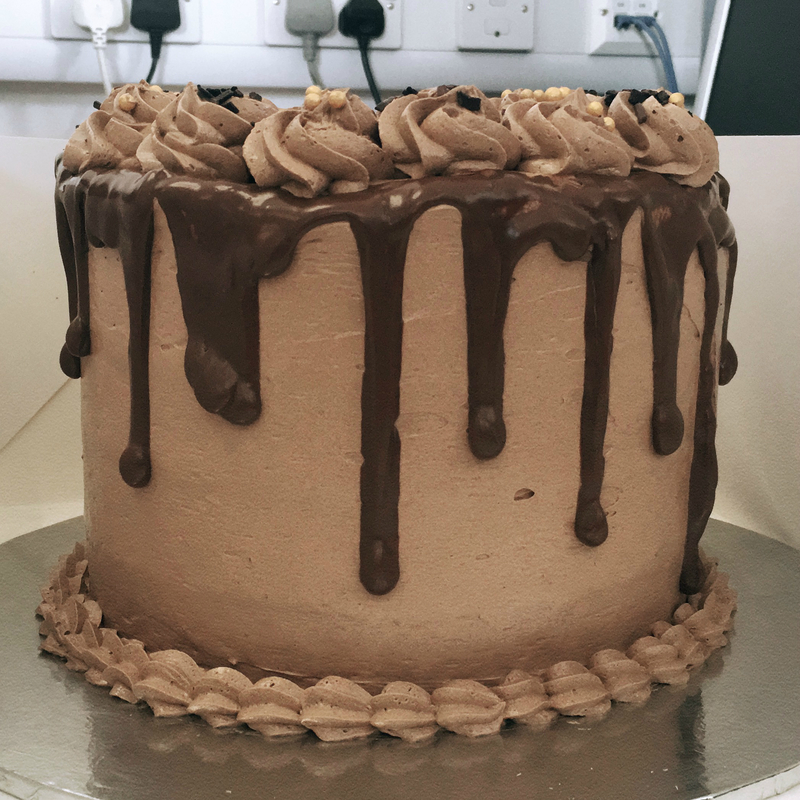 This cake was being sent into an office for a women who is a fan of chocolate cake and this went down well, I was assured of it!